When you decide to sell your home, you want a buyer found quickly and the sale completed for the highest possible price. Putting a sign in your front yard and listing your home in the Multiple Listing Service (MLS) is a start. But it’s not enough. Nine in 10 home buyers today rely on the internet as one of their primary research sources. That’s why Team Donovan invests time and resources into online marketing to ensure YOUR listing is seen by the widest possible audience of prospective buyers – around the world! The Orlando resort area includes Kissimmee, Lake Buena Vista, Celebration, Davenport, Haines City, Clermont, Four Corner, and Windermere. This area near Disney is unique compared to the rest of metropolitan Orlando since it includes vacation homes that are purchased for use as short-term rental properties. 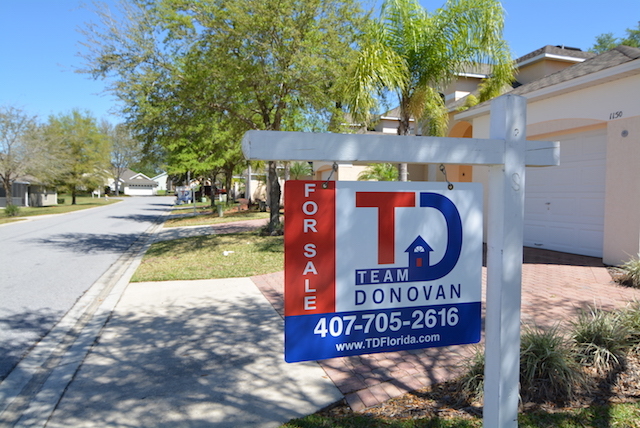 Team Donovan has over 50 years of collective experience in the Orlando resort area, working exclusively with sellers and buyers of second homes, investment properties and residences. 'As an owner in Florida for some 12 years I have also dealt with a number of brokers and realtors in the US. I am also an estate agent in the UK for over 30 years. Team Donovan have been impressed me both in their approach to gain my business with professional marketing and house price reports. Once instructed their client contact was excellent surpassed only by their skills in finding and negotiating a sale and the assistance offered to me as a non US citizen. I have no hesitation in recommending Team Donovan !!!" Education + Feedback is KEY! Each week, we notify you about the number of showings scheduled for your home, and provide feedback from potential buyers. You can count on us to answer our phones and reply to your emails in a timely manner. Making a great first impression is vital when it comes to selling your home. That’s why Team Donovan is committed to ensuring your home stands out from the competition. We will review your home and suggest ways to increase your home’s value. These tips may include cleaning, decluttering, making minor repairs, and/or staging. Very professional in their handling of villa sale. Great communication, very satisfied." Properly pricing a home is critical to getting it sold quickly and at the best price. Research shows that overpricing your home, and then lowering the price several times the longer it remains on the market usually leads to selling for a much lower price than what you originally should have asked for it. That’s why a Team Donovan agent will prepare a detailed analysis of all past sales, homes under contract and current active listings. We also review details such as taxes and HOA fees. This strategy helps us determine the best possible listing price so you can net what you need. "Outstanding 5 star service providing a seamless experience in selling the house and repatriating the funds. We received two above asking price offers within 24 hours of the house being placed of the market ; delighted with the service, excellent communication and truly superlative negotiating skills provided by Team Donovan." When you hire Team Donovan to sell your home, your listing will be exclusively visible to potential buyers from around the world due to our partnership with an International Agents network. For example, a U.K. based real estate firm features Orlando area homes for sale on its website that come directly from Team Donovan. The firm only displays our listings on its site, which gives you the competitive edge when it comes to attracting potential buyers for your home. "Cannot fault them in any way. Exceptional professional service. Guided us through the process. Cannot thank them enough." "Very Quick and organized. Much appreciated." Our team includes a mix of both European and American-born agents, who are able to work effectively with clients from around the world. Our trained and knowledgeable staff can counsel buyers and sellers of Orlando vacation houses on currency transfers, property management, taxes and more. Visit our testimonials page to see what other clients have to say about their experience working with Team Donovan. Ready to list your Orlando home for sale? Call Team Donovan today at (407) 705-2616. Or click here to fill out our online form. We look forward to serving you!